Chandigarh, Feb 8 : The Punjab Police will celebrate the 550th birth anniversary of Sri Guru Nanak Dev Ji dedicated to the security of the pedestrians in the state. The ultimate aim for organising this programme is to celebrate the day as the international day to promote pedestrian safety in honour of Guru Nanak Dev Ji. The preparations across the world have already started in the run-up to first Sikh Guru’s 550th birth anniversary next year. Guru Nanak Dev is said to have travelled at least 28,000 kilometres on foot in his lifetime and is considered as the world’s most notable and revered pedestrian. In this regard, Punjab Police have decided to observe the 30th National Road Safety Week (from 4th February to 10th February) in all the district Police units by organising special programmes for the pedestrians. A Punjab police spokesperson said that 550 meters long human chain would be made with the help of citizens, students and NGOs in the cities and towns. "Such activities will honour the rights of the pedestrians and to provide them with the respect they deserve," he added. He further informed that the district police would look after all the necessary facilities for the guests, who come to join human chain and ensure that they hold the placards with slogans of teachings of Sri Guru Nanak Dev Ji and rights of pedestrians on roads. He also said that all the districts police heads had already been instructed to arrange the programmes in their areas. 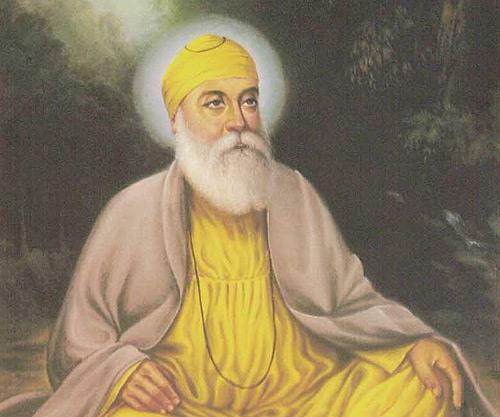 "This will be the true tribute to the motives of the life of Sri Guru Nanak Dev Ji'', he added.